Immobility puzzle in the European Union (EU) takes the form of observed level of migration within the EU being substantially less than what is expected in a union allowing free labor mobility. 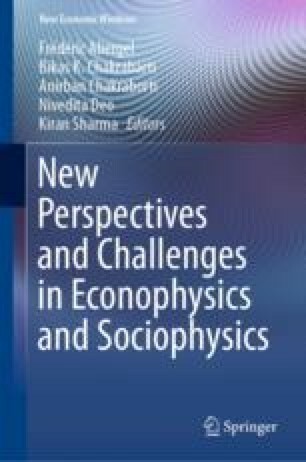 We use a dynamic general equilibrium model of migration in a multi-region setting with heterogeneity in sectoral compositions, productivity and endowments of productive inputs, to construct a flow network of migrants (Chakrabarti and Sengupta, Econ. Model. 61:156–168 (2017)) (, Economic Modelling). When tested on the US data which we consider to be a benchmark for institutional homogeneity compared to Europe, this model explains substantial part of the variation in both the nominal and relative flows of state-to-state migration under suitable calibration. On the other hand, this model explains the relative flow network of the EU well but predicts a higher nominal flow than is seen in the data, thus illustrating and quantifying the puzzle. Following the hypothesis that institutional heterogeneity across the EU countries induces frictions on such labor reallocation process, we use dyadic regression to analyze the effects of pair-wise institutional distances which capture a broad spectrum of socio-cultural and political differences between countries, on the estimated missing mass of migrants. Linguistic differences appear to be the key factor explaining the missing mass of migrants.